I love the Kennedy Center Awards and when I watched them in December of 2013 Billy Joel was receiving one along with Carlos Santana, Herbie Hancock and Martina Arroyo. 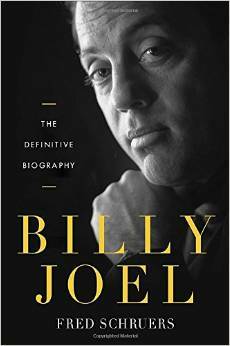 When I saw Billy Joel I thought, what has happened to him? Where did his hair go? Then I was amazed to realize that he was 64 years old! I was trying to think where the time went. I lost track of him. I remember watching M-TV in the 80’s and his Uptown Girl video along with Innocent Man and then my life must have taken over. After watching the Kennedy Center Awards I was totally infatuated with Billy all over again. I couldn’t find out enough information about him. Early in 2014 my husband had gotten an email from The Palace at Auburn Hills announcing that Billy Joel was coming there for a concert, would I like to go? I gave a resounding yes! There were songs I had never heard before, And So it Goes for example. I thought that was one of the prettiest songs I had ever heard. When we got back home I downloaded on my phone all the music I could find from Amazon. I would listen to it going to work every morning. I was amazed at all the styles that he wrote in, blue grass, doo wop, and was again amazed. I ordered this book and am glad I did because it filled in blank spots for me. He is a genuinely caring person and a bit naive where he thought the best of everyone and he was taken advantage of. I love his New York slang, especially the words chutzpah and schtik. The book ends with he and his newest romance of which he got married to on July 4th of this year. He just became a new father yesterday with a little girl, Della Rose. He is now 66 years old, has had a double hip replacement and is touring to sold out crowds. I was glad to see that he is open to collaborating with other musicians to make some songs and, to maybe write some music for movies. I personally would like to make a trek to Madison Square Garden to attend a concert there before he decides he doesn’t want to do it anymore. And that’s what he says in the book, he can make that choice. When it is not fun or if he doesn’t think that he is doing it well anymore then he will call it off. Thinking about it makes me sad. I can’t imaging a world without Billy Joel.